Epionce Lytic Tx diffuses your dull skin dilemmas by going deep into the pores. It clears impurities while reducing inflammation, redness, and the look of scaly, bumpy skin on the face. 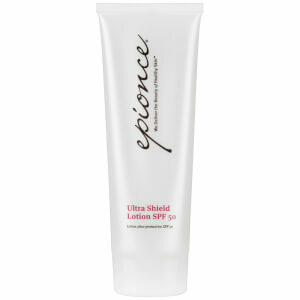 Epionce Lytic Tx works to reveal the luminous skin hiding underneath flakes, large pores, and blemishes. Ideal for those with combination to oily, acne-prone, eczema-prone or aging skin who want to eliminate dead skin cells, excess oil, flaky skin and redness. Smooth onto skin after cleansing once or twice daily. Use only a pearl-sized amount to cover your entire face or as directed by your skin care professional. Please wait 7 minutes before applying your next product. Salicylic Acid clears excess oil from the pores. Willow Bark Extract clears the pores and sloughs off dead skin cells. Azelaic Acid reduces harmful bacteria and evens the skin tone. Inactive Ingredients: Water (Aqua) Salix Alba (Willow) Bark Extract, Butylene Glycol, PPG-2 Myristyl Ether Propionate, Polyacrylamide, Limnanthes Alba (Meadowfoam) Seed Oil, Glycerin, Petrolatum, C13-14 Isoparaffin, Phoenix Dactylifera (Date) Fruit Extract, Allantoin, Atelocollagen, Azelaic Acid, Linum Usitatissimum (Linseed) Seed Oil, Bisabolol, Caprylyl Glycol, Cetearyl Alcohol, Citrus Aurantium Dulcis (Orange) Fruit Extract, Cyclohexasiloxane, Cyclopentasiloxane, Cymbopogon Schoenanthus Extract, Emulsifying Wax, Ethylhexlglycerin, Glyceryl Stearate, Hexylene Glycol, Laureth-7, Lavandula Angustifolia (Lavender) Flower Extract, Lecithin, PEG-100 Stearate, Phenoxyethanol, Sodium Chondroitin Sulfate, Sodium Hydroxide, Xanthan Gum, Zinc Pyrithione.